Before & After—Just Three Treatments! Our goal is to provide the most gentle and relaxing experience possible. During your totally FREE consultation, our professionally trained technicians will explain the process and answer your questions. Once your consultation is complete it is now time to get you "un-inked"! Don't LASER the ink (and the metals in the ink) into your skin and bloodstream. Do it the all natural way. Our proprietary medical solution "pulls the ink" out of the skin using nature's way of healing your skin. 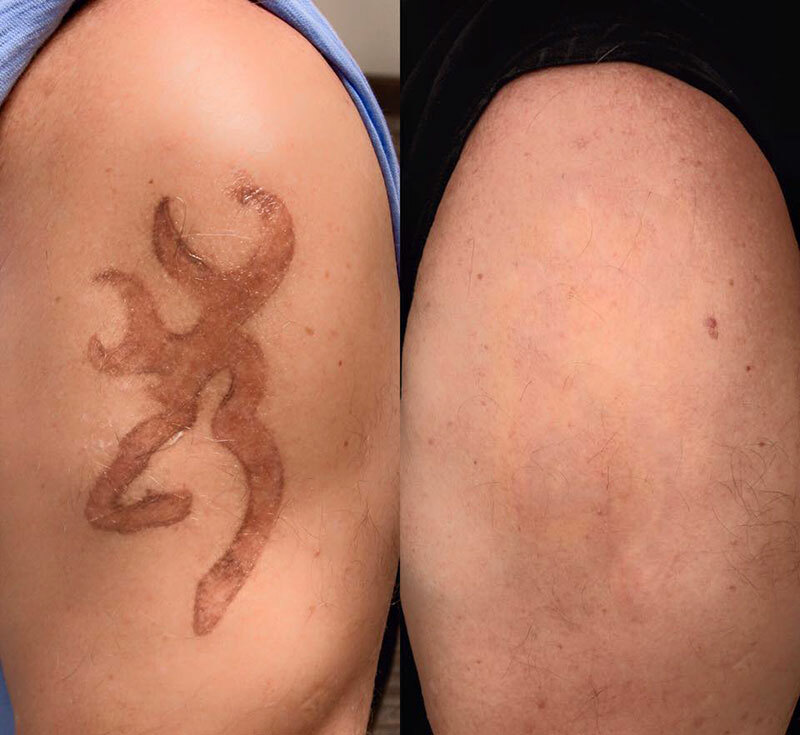 The result: The ink is gone and your skin is healthy. It's even healthy enough for another tattoo if you want!